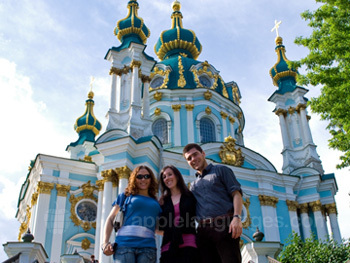 Learn Russian in Kiev, which lies at the historic crossroads of Europe and Russia! 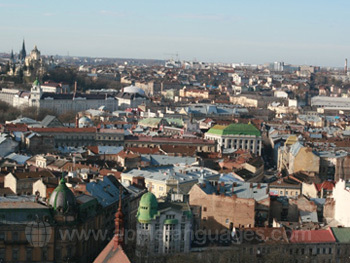 Kiev, known as the ‘Cradle of Russian culture’ was founded 1,500 years ago and is one of the oldest cities in Europe! 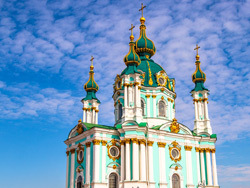 Known for its exquisite architecture and cobbled streets, Kiev is a truly beautiful city. 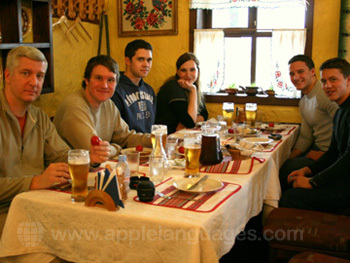 It is also the third largest Russian speaking city outside of Russia and, even after gaining independence from the Soviet Union in 1991, 85% of Kievites continue to use Russian in their everyday lives, making it the perfect location in which to study Russian! 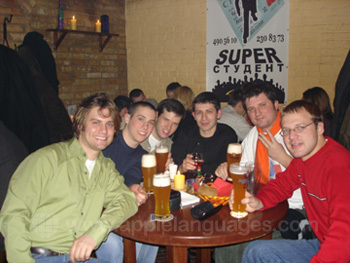 Ukrainians are also famed for their friendliness, meaning that students will find it very easy to meet locals and practice their Russian whilst out and about in the city! 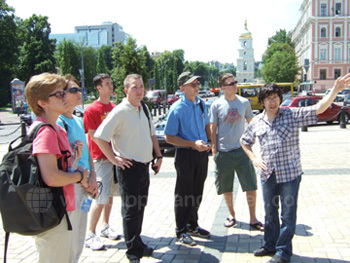 Kiev is also one of the safest and cleanest cities in Europe, and boasts an impressive public transport system, as well as being extremely easy to navigate on foot. Kiev really does offer something for everyone, with museums, operas, concerts and Russian plays, as well as a vibrant nightlife with many nightclubs and bars! It also has plenty of parks in which students can take a walk to relax. As well as all this, the cost of living is much lower than Western Europe, Moscow and St Petersburg! Another great advantage of studying Russian in Kiev is that if you are from the European Union, United States, Canada, Japan, South Korea or Switzerland you do not require a visa for visits of up to 90 days! Our school in Kiev is located in the historic centre of Kiev, just a short walk from the stunning St. Sofia Cathedral and the remains of the ancient city gate (Golden Gate). Housed in 2 historic buildings that have recently been renovated, on a street lined with beautiful 19th Century architecture, our school offers fantastic facilities for students, including a library, language laboratory, movie theatre and conference room, as well as fully equipped classrooms, a snack bar, air-conditioning and free wireless internet throughout. You can choose to learn Russian on a ‘Standard’ course (which consists of 20 lessons per week and has a maximum class size of 10 and an average class size of 7), on a private course, or on a combined course which consists of ‘Standard’ lessons plus 5 or 10 private lessons per week. 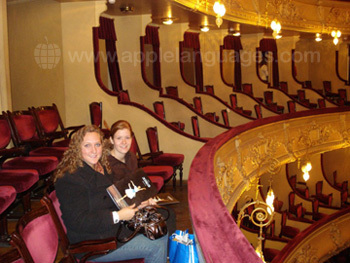 Advanced speakers can attend a Business Russian course, which covers business-related topics and terminology for those wanting to tweak their language ability according to their career needs or personal interests. You will be taught by highly qualified teachers, who are native speakers of Russian and are very experienced in teaching foreign students. 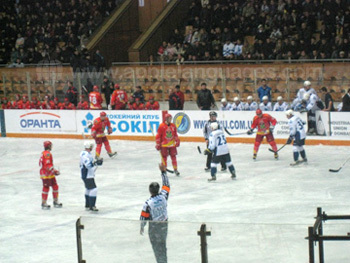 Our school in Kiev also offers a unique ‘Peer Coaching’ activity programme. ‘Peer Coaches’ are students from local universities who offer students extra help and support with their conversational Russian outside of weekly scheduled lessons. 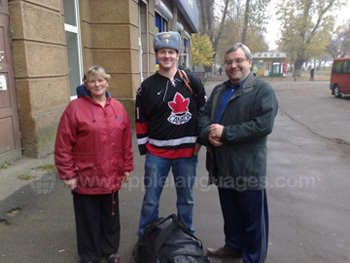 Our school also offers a ‘Russian Conversational Club’ which meets every Saturday. There are groups for all levels (from beginner to advanced) to discuss culture, politics, art and everyday life in Ukraine. 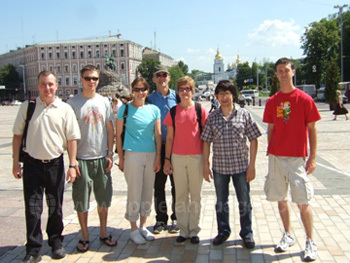 For students wishing to fully immerse themselves in Ukrainian culture, our school in Kiev offers accommodation in carefully selected host families, where you will be provided with your own room and either one or two meals per day. 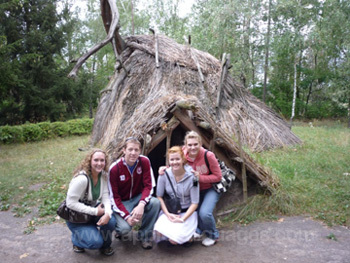 This is certainly the best accommodation option linguistically, as the host family will speak Russian to the students, helping them to practice what they have learnt in class! 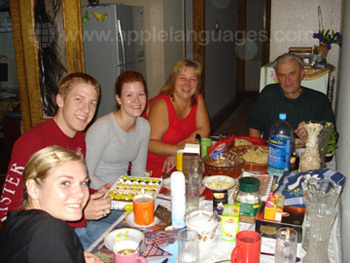 Our school in Kiev is also able to arrange private apartment accommodation for students. 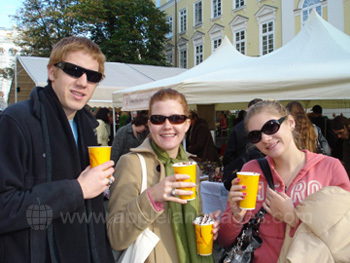 Our school in Kiev offers an extensive activity programme, with activities being arranged for most days. Examples of activities include cultural presentations by guest speakers, Russian film screenings, and guided tours of the St. Sophia Cathedral and the Cave Monastery, both of which are UNESCO World Heritage Sites. 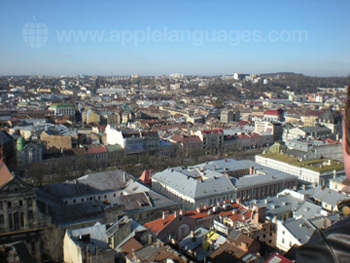 The school also arranges regular excursions to locations in other parts of Ukraine, such as Odessa and Lviv. We are able to arrange airport transfers for students, although these are not included in the price of the course. Average score for our school in Kiev based on 6 previous client reviews. Very satisfied. 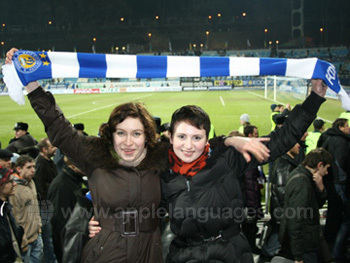 in Kiev the russian spoken is more clear than in russia, less slang! The teachers were very motivated. lessons were intense. My hosts were very nice people, spoke russian in a very clear way. good food, many stories. Well, a nice surprise, with an excellent coaching for a beginner in Russian Language, about the teacher, excellent quality. Oksana, my teacher, was extremely helpful and understanding of the problems for English speakers with Russian. That the class was entirely in Russian was very helpful, since one of my main goals was to improve my oral and aural skills. 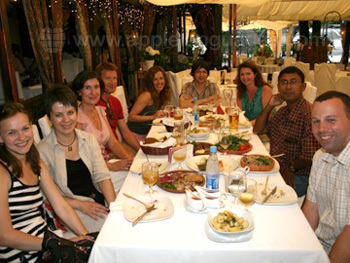 The rest of the staff was invariably helpful and friendly. It made me want to come back for more instruction. My accommodations were very clean and agreeable. They were convenient to a number of stores, as well as Khreshchatik. My room was near enough to the school so that I could arrive with no problems. Breakfast was on-time and always tasty. My hostess and her son Ivan, were very friendly. They were also very patient in their Russian conversation, making every effort to speak distinctly and help with any problems I had, linguistic or otherwise. Vera's background as a doctor and her stays overseas made for some very good conversations, as did Ivan's Maidan experience, and subsequent service in the Ukrainian govt. I would highly recommend them to anyone using the school. I hope to take another segment of the course in the near future. 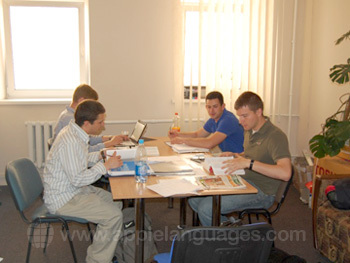 The course has been very useful to improve my russian, the teacher was great because she gave wide space to conversation. The family was very kind. I always ate very well, even if were dishes that i had never tried before! Tatyana,our teacher was very nice and clever. Also accommodation of Mrs Luba was very kind. Our schools are rated (4.56/ 5) based on 3537 customer reviews!